Tutu app, recently that has been pretty popular for downloading free apps and games especially modded version of Pokemon Go. It is a chinese appstore that provides cracked apps and games for free. Tutuapp for Android and iOS is now very popular and receiving huge amount of visitors from all around the world although it is in chinese language. 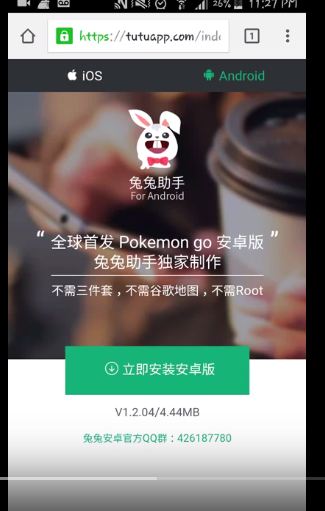 The fact that tutuapp has become popular is it was the first platform that released the fully modded pokemon go game version with walking hack, gps hack, fake location hack and more. Besides tutu app also has a lot of other modded, cracked and hacked apps and games too that are not easily available anywhere else. The worst thing is, this appstore has users from all around the globe, but the language it is in is Chinese which will bother you a little finding the apps but you will get used to it once you started using this app. This app is also called Bunny Assistant. So, you can also search it for by using the name bunny assistant or Tutuapp free. This app has a monogram of a small cute Bunny as the name indicates. So guys let’s start tutuapp download. Tutuapp Android and tutuapp iOS is available for free for both the iOS and android operating systems. And I am here today because I will show you how you can download tutuapp free for both iOS and Android. Separate step by step tutorials will are given both for iOS and Android. So, guys to download tutu app on your phone just follow the procedure below. Moreover, the app is available to download without jailbreak on iOS and without root on Android. 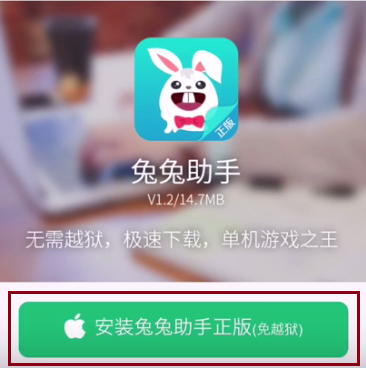 If chinese language is a problem then you can use TutuApp Vip version which is in English. I liked it very much. One of the best appstore available for android and iOS. To download tutuapp apk free for android follow these steps below. Tutuapp’s official website will open and below will appear an option to download the app for your android device. Tap on the big Green button to download it. Now press on the yes button and the app will start downloading in the background. Let it download completely. Now on your phone, go to Settings>>Security, scroll down and enable Unknown Sources. Go back to download folder where tutuapp is downloaded. Tap on it and install the package. Now go to the apps drawer and launch the app. Enjoy free apps and games. For iOS user the steps to download the appstore on any iOS version are given below. Unlock your iphone or ipad and connect to the internet. Open safari browser, type the URL “tutuapp.com” and search. Tutuapp’s official website will open. Below there will be a green button to download tutuapp on your iphone. Tap on the green button and tutuapp will start downloading and installing on your phone. When it is installed on your iPhone. Open it from apps drawer. 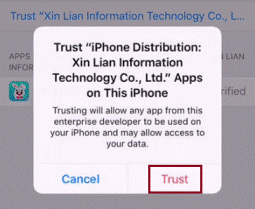 It’ll ask you to trust the enterprise developer. After that go back, launch tutuapp and enjoy free apps and games. Tutu App is an online appstore which provides free apps and games for Android and iOS phones. It is developed by chinese developers. Most the games are cracked. Every paid game is free on tutuapp. This appstore can be downloaded for both Android and iOS phones. Tutorials can be seen above. Another versions associated with tutuapp are tutu helper and tutuapp vip. So, that is it. I hope you have perfectly installed tutu app free on iOS and Android. If you encounter any problem then feel free to drop a comment below. Also share it and subscribe to our blog. Good Bye and Take care! !.